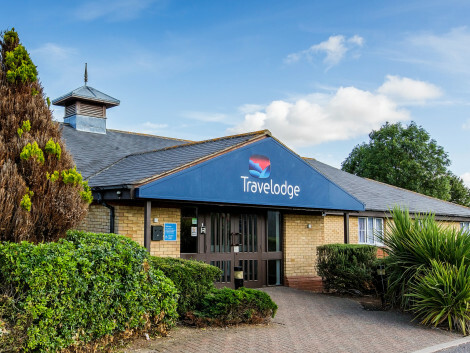 A rural hotel near Colchester with free parking, free Wi-Fi and breakfast included The Holiday Inn Express® Colchester hotel is just off the A12, six miles from the town centre and 15 minutes' drive from Colchester station. Direct trains to London Liverpool Street take an hour. Stansted Airport (STN) is a 45-minute drive away. You can drive to the seaside villages of Clacton-on-Sea and Frinton-on-Sea in half an hour. Take the family to spot giraffes and elephants at Colchester Zoo, 15 minutes' drive from the hotel, or to admire the Roman ruins in Colchester town centre, six miles away. If retail therapy is more your style, you can browse the high-street stores at the town's outdoor Culver Square shopping centre. You can hold a meeting or an event for up to 38 guests in the hotel's three naturally lit meeting rooms. Wi-Fi is free, and you can take care of copying and printing in the business centre. If you're set for a long day, a working lunch can be provided to help you stay productive. To start the day, tuck into the inclusive Express Start Breakfast buffet, featuring bacon, scrambled eggs, sausages, baked beans and pastries. If you're feeling peckish, you can settle into the cosy leather chairs in the stylish Great Room lounge for a light meal. The bar is open until 1am, and you can enjoy a drink on the patio in good weather. Make yourself at home in one of the 47 guestrooms. Complimentary wireless Internet access keeps you connected, and digital programming is available for your entertainment. Bathrooms have shower/tub combinations and complimentary toiletries. Conveniences include desks and coffee/tea makers, and housekeeping is provided daily. 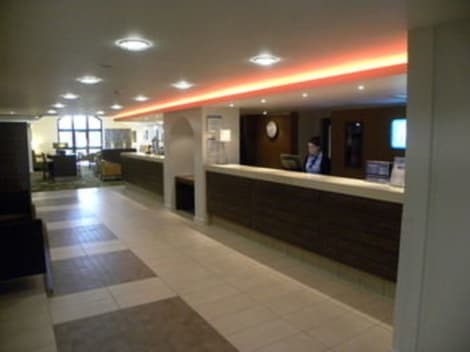 A modern Colchester hotel just off the A12 road, with free parking, free Wi-Fi and an indoor pool. 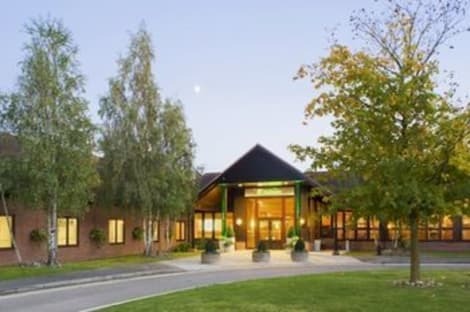 Holiday Inn® Colchester hotel is just off the A12 road, for direct access to London and Ipswich. The shopping and restaurants of historic Colchester are a 10-minute drive away. Colchester Town station is served by direct trains to London. Fancy a family day out? The exotic animals and birds of Colchester Zoo are less than 10 minutes' drive from the hotel. Or spend a day on the beach at Mersea Island or Clacton-on-Sea, both half an hour away by car. Scenic Dedham Vale in the heart of Constable Country, the region depicted in the great artist's paintings, is just 12 minutes' drive from the hotel. At Freeport Braintree shopping outlet, 20 minutes away, you can browse for brand store bargains. In the hotel's seven flexible event rooms you can host meetings or functions for up to 120 people. There's natural light, as well as free Wi-Fi and AV equipment to bring your presentations to life. In the casual, barn-style restaurant, you can start your day with a buffet breakfast, or enjoy a juicy steak for lunch or dinner. Or just take it easy over drinks and a burger with friends in the bar. Keep in shape with a visit to the well-equipped gym or indoor pool, before you relax in the jacuzzi or sauna, or treat yourself to a pre-booked beauty treatment. Take advantage of recreation opportunities such as a nightclub, or other amenities including complimentary wireless Internet access and wedding services. This Tudor inn also features a fireplace in the lobby, tour/ticket assistance, and a banquet hall. Breakfast is available on weekdays from 7 AM to 9:30 AM and on weekends from 7:30 AM to 10 AM for a fee. The largest town in the Colchester borough in Essex, Colchester is known for being the capital of Roman Britain, and the oldest recorded town of this period. The town has attracted attention through the centuries, and today you can see a real mix of historic architecture and landmarks as you stroll through the streets. A trip to Colchester wouldn't be complete without visiting Colchester Castle. This 11th-century Norman keep stands over the sight of the ruined Roman Temple of Claudius, and is a great way to spend an afternoon. While you're there, take time to see the Castle Park, dating back to Victorian times. If that sounds like a relaxing way to spend a few hours, check out The Beth Chatto Gardens in the town too. Other great landmarks include the medieval ruins of St. John's Abbey, and some stunning Victorian structures in the town, including the Town Hall and the Jumbo Water Tower. Colchester Zoo is great if you're looking to have a really fun day out, and for a spot of culture, take time to explore the arts venues in the town, from the Mercury Theatre, to The Minories Galleries and The Sir Alfred Munnings Art Museum. 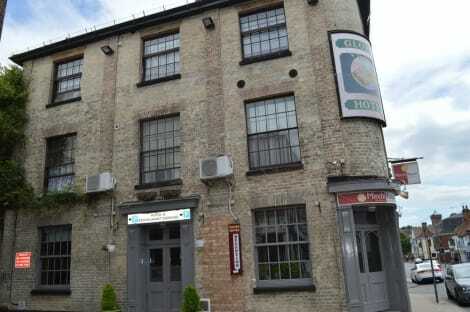 This vibrant town has lots of lovely places to stay, so finding a Colchester hotel close to everything is easy. Budget conscious travellers can check into the Premier Inn, or for some more traditional hotels, try Wivenhoe House and Milsoms Hotel. For food, try some of Colchester's most popular places, such as the Australian inspired Red Dog Café, the contemporary British Balkerne & Colne, or try Indian cuisine at Bombay Palace. So whatever you plan to do during your stay, make sure to explore everything this buzzing town has to offer.